Shields Bag and Printing, a leading supplier of tamper evident security bags to the financial industry based in Yakima, WA, is pleased to announce its partnership with the National Breast Cancer Foundation (NBCF). During the month of October, Shields will sell uniquely designed Breast Cancer Awareness bags with a portion of the proceeds designated for NBCF. Recognized as one of the leading breast cancer organizations in the world, the National Breast Cancer Foundation’s (NBCF) mission is to save lives through early detection and to provide mammograms for those in need. 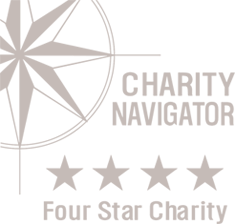 A recipient of Charity Navigator’s highest 4-star rating for nine years, NBCF provides women Help for Today…Hope for Tomorrow® through its National Mammography Program, Beyond The Shock®, Early Detection Plan, MyNBCF online support community, and breast cancer research programs. For more information, please visit www.nbcf.org.